The FamilySearch Indexing effort is unparalleled in its success and scope, but what is the real vision behind this wonderful activity? Come learn how this simple but massive effort will change how genealogical research can be done from what we have done in the past. 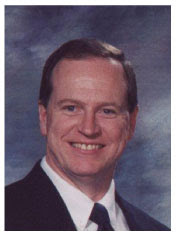 Randy Bryson is an Area Family History Advisor in the Utah South Area and is a past Family History Center Director. Working for the Family History Department, he has had experience in the development and use of Personal Ancestral File, Scanning, Indexing, newFamilySearch and others systems. He now works to scale the LDS Church’s technology to provide new FamilySearch to the homes of members and nonmembers alike. Starting this month, you will need to be a member of UGA to access the virtual chapter meetings. Address to access the chapter meeting: Log in to the website at ugagenealogy.org with your username (the first 4 letters of your first name and the first 4 letters of your last name) and your password (the first letter of your first name, your zip code, and the first letter of your last name). Click on Virtual Chapter and go to our virtual meeting system. Log in there with your full name or "guest"
The UGA Virtual Chapter meets online on the third Thursday of the month. These meetings are free to members of UGA. To join UGA visit our website at ugagenealogy.org. Membership is just $35.00 per year. Members will also have access to all archived virtual chapter meeting presentations, discounts for registration to the Salt Lake Institute of Genealogy, a free subscription to our quarterly journal Crossroads, and more.